As any parent knows, keeping track of lost teeth for the tooth fairy can be problematic, and potentially disillusioning, for young people expecting some cash in exchange for a lost incisor. Enter Little Happi Pillows. Made right in Spokane, the charming 7-inch square pillows feature "tooth fairy" pockets to make sure the tooth is safely tucked away until the tooth fairy has a chance to stop by. The pillows are crafted by Little Happi Goods Co. owner Linda Ligatich, who returned to her hometown of Spokane a couple of years ago after a career in graphic design in Portland. The pillows arose from her desire to "merge my graphic design side with a more tactile sewing side." In November, Ligatich launched a line of llama-inspired pillows and dolls — the dolls have soft bodies with shy expressions on their hand-embroidered faces, and each sports a colorful hand-knit collar. They're undeniably adorable, but why llamas? "This is so random!" Ligatich says, "My husband and I got married up on Orcas Island, and we always go back up there, and there's this alpaca and llama farm. I always think they are just so cute!" She was surprised at their popularity, laughing, "They are like the unicorn of last year and the mermaid of the year before." 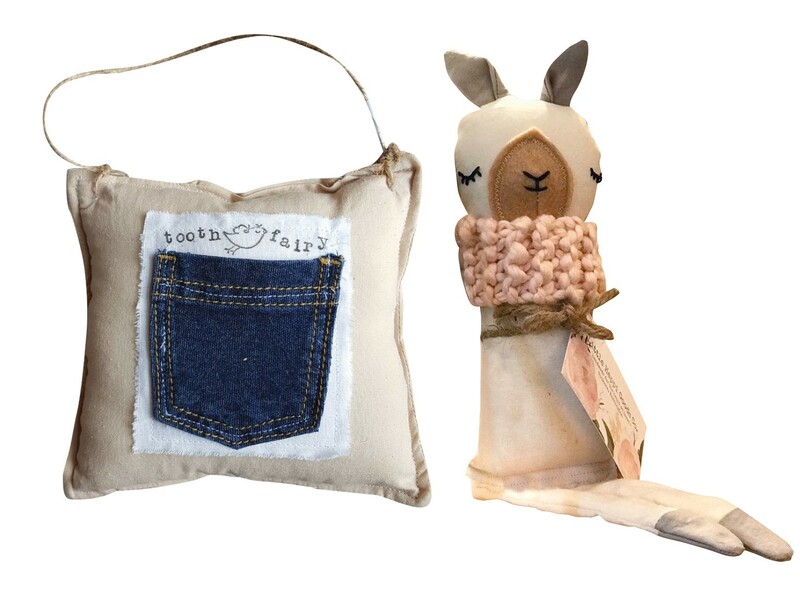 Find Little Happi Pillows at 1900 House & Home in Spokane; the llama line is available at Lucky Vintage in Spokane, at Lovely Chaos in Coeur d'Alene, and at the Rusty Farmhouse in Reardan, as well as on Etsy and Instagram.